The Goldwater supports our fellow countrymen who serve and protect with their lives, but just as we report on the courageous accomplishments of our U.S. Border Patrol, we must also report when one of their own goes astray. That appears to be the case after a U.S. Border Patrol agent named Juan David Ortiz was arrested early Saturday. Ortiz was charged on suspicion that he murdered four prostitutes and abducted a fifth but his last victim managed to escape. Ortiz was apprehended after his fifth known victim managed to escape after he had abducted her, according to Webb County District Attorney Isidro Alaniz. Sheriff Martin Cuellar told the press that Ortiz fled from state troopers and was eventually found hiding in a parking lot of a hotel in Laredo. The city is on the border about 145 miles southwest of San Antonio. Sheriff Cuellar also said investigators had "very strong evidence" that Ortiz is the man responsible for killing the four victims and justice will be served despite their lower class in society. Those forced into prostitution or poverty face many dangers of abuse and murder at the hands of law enforcement should be one of them. The sheriff would not reveal exactly what evidence his department had on Ortiz but indicated it was substantial. It would take a lot for another agency, a state agency, to arrest a federal employee which is what U.S. Border Patrol is, a federal entity. A spokesperson from U.S. Customs and Border Protection said Ortiz holds a supervisory Border Patrol agent role at the agency. The spokesperson declined all other questions and instead deflected them to police in Webb County and the Texas Department of Public Safety which is the state level that is handling the investigation. Sheriff Cuellar indicated that he planned on filing four murder charges and one charge of aggravated kidnapping against Ortiz, but it is unclear if the former Border Patrol agent will face federal charges as well. Let's not forget, the overwhelming majority of people who chose to put their lives on the line to protect our country deserve our respect; there are only a few bad apples such as Mr. Ortiz who must be considered innocent until proven guilty. Most likely he will still collect a government paycheck despite being on a "temporary leave of absence". Just as police must face life and death situations every day and make the split-second decision whether or not to shoot and if they chose wrong they won't make it back to their family each day. Border Patrol agents also face, booby-traps, ambushes, explosives, armed assaults, and regularly must apprehend armed cartel smugglers and other illegal immigrants looking to traffic humans and drugs as part of a lucrative multi-billion dollar a year industry. Add to the difficulty of being a Border Patrol agent that many of the men they arrest and transfer to ICE who deports them often are arrested by the same agents at the same places over and over again. The job is an impossible one just like being a police officer. When a Border Patrol agent does there job and someone is killed, they are crucified in the media for being racist and handed a stiff jail sentence for signing up for a thankless job and then being shunned by the very Americans you signed up to protect. Webb County district attorney added, "This case broke open yesterday with an aggravated kidnapping and then a lookout for a suspect, in this case, Ortiz." The bodies of three females and one male were found over the last couple of weeks, and a fifth victim allegedly escaped from the killer and was able to contact police and provide a description of the suspect and the suspect's white Dodge truck. 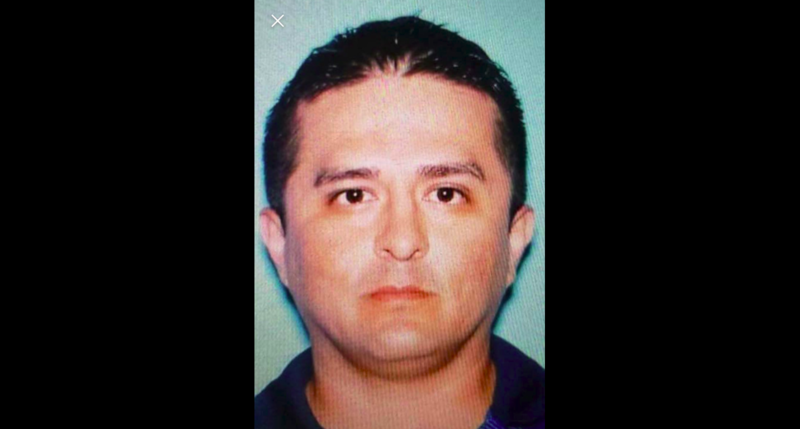 Update: A report from a user on Twitter claimed that the Juan David Ortiz confessed to all four homicides and is a nine-year veteran of Border Patrol. This tweet could not be verified but it would appear to match what the investigators are saying. It really makes one wonder what kind of vetting system they have for agents at the Border Patrol, or does a psycho serial killer just slip by undetected because he is so good at what he does? "Those forced into prostitution or poverty face many dangers of abuse and murder at the hands of law enforcement should be one of them." I'm pretty sure they meant to say " should *not be one of them. The alternative link to the video was a noble attempt however a FB link - you have to be kidding - try something like REAL.video.com or some other vid sharing service - people should be leaving FB if they know what's good for them. Thank you for this story BTW ! !